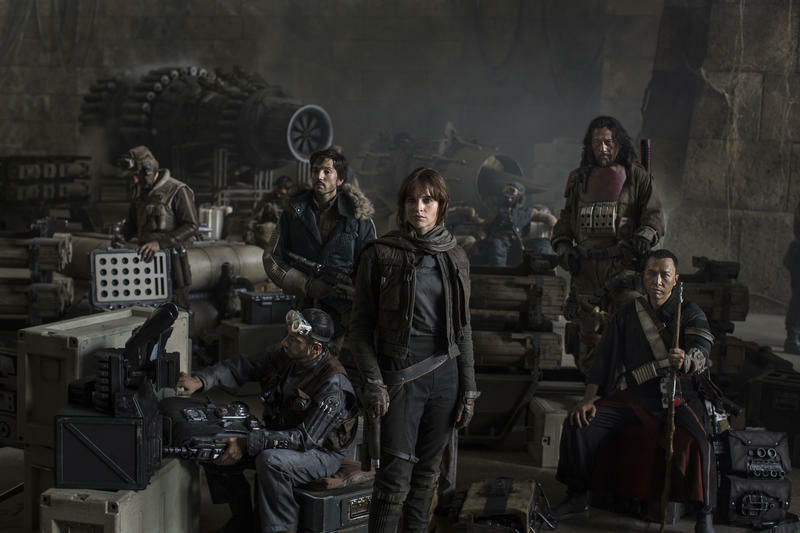 Star Wars: Rogue One—Will Disney's spinoff survive the shadow of The Force Awakens? J.J. Abrams told us there would be no tag scene attached to Star Wars: The Force Awakens, and, as promised, there was nothing of the sort. It made me sad, maybe even a little disappointed. Not because I’ve been conditioned by Marvel to expect extra footage after every movie, but because I want to see what Disney has planned for the future of the Star Wars universe. I’m not talking about Episode VIII. Rather, I’m curious to see what’s going on with Rogue One: A Star Wars Story, which Disney has already said won’t be your typical Star Wars flick. It’s instead described as more of a “war” film, and not the operatic drama fans have fallen in love with. In a way, it’s also an experiment, a way for Disney to gauge how audiences respond to films that don’t explicitly feature the Skywalker family. To a lot of casual fans, and even Star Wars diehards, Rogue One is completely foreign, a name that sounds more like an upcoming Call of Duty game than a Star Wars spinoff. And I think that’s the biggest hurdle Disney faces over the coming year. Following the breakout success of The Force Awakens (it just keeps on obliterating records), Disney has the unenviable task of figuring out how to market a completely new Star Wars property, one that is loosely connected to the original trilogy, that has nothing to do with Rey, Finn, Poe or Kylo Ren, who fans are just getting to know. 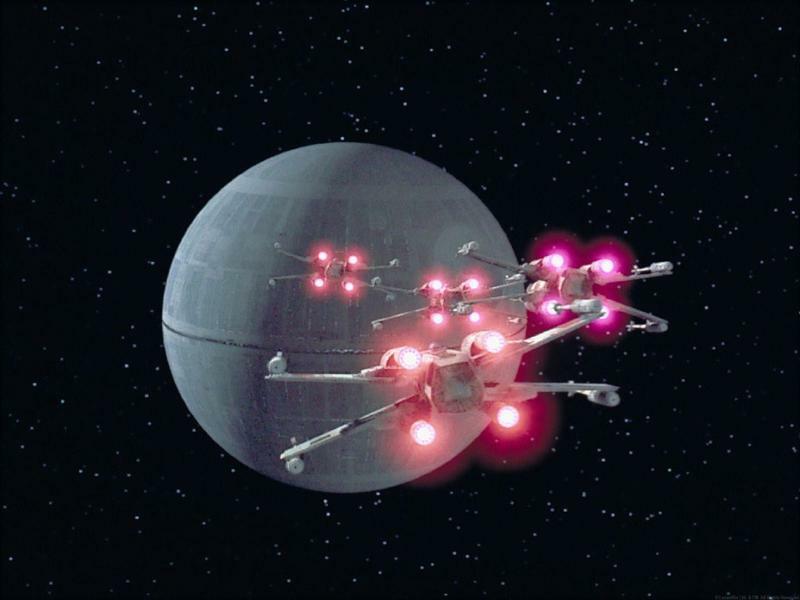 Rogue One is already living in a Death Star-sized shadow. Disney’s decision to sandwich a spinoff between Episode VII and Episode VIII always seemed like a gusty decision, but I’m worried it won’t pay off quite how the studio is hoping. Sure, the popularity of Star Wars as a whole will no doubt have a huge influence when all is said and done. But what will market confusion be like as we approach the movie’s release? Rogue One, announced earlier this year, is a Star Wars spinoff being directed by Gareth Edwards (Godzilla) that follows a motley crew of Rebel fighters who attempt to steal plans for the Death Star. The film will be set prior to the events of the very first Star Wars movie, so it’ll essentially bridge the gap between the prequel trilogy (ending with Revenge of the Sith) and the original trilogy (beginning with Star Wars: A New Hope). In A New Hope, the Rebel Alliance was mysteriously in possession of Death Star plans; Rogue One will explain how they were obtained. Outside of being entirely separate from the new Star Wars trilogy—The Force Awakens is first, with Episode VIII scheduled for a May 2017 release—Disney will need to figure out how to educate the public about what Rogue One is, and the new characters in it. So far Disney has only released a single picture of the new cast together, and to little fanfare. Now that The Force Awakens has been released, it’s time for Disney to get to work. And, wow, a lot of work is ahead. Sure, the Star Wars universe has lived on past the movie trilogies thanks to the Expanded Universe, but Rogue One will be unprecedented in that it’s a completely new property created entirely for the big screen. It’s a heist/war film no less, one that doesn’t deal with Jedi or the Force, something we haven’t seen before. Sure, it’s a Star Wars film in the sense that it occurs in the universe where Luke, Leia and Han Solo live, but it’ll be different from the Star Wars films fans grew up watching. That’s not inherently a bad thing, it just makes educating the public a huge challenge. By this time last year, we had already seen the first teaser trailer for The Force Awakens. We haven’t seen anything of the sort for Rogue One. What puzzles me is that Disney had a teaser to show off at the Star Wars Celebration this past summer, but has been relatively mum ever since. I understand that Disney would want to focus all of its energy on the release of The Force Awakens, but a tag scene seemed like that perfect opportunity to capitalize on an already captive audience. Show a quick teaser, and be done. That would at least get people talking. Of course, Disney would have run of the risk of people confusing the footage for an Episode VIII teaser, so it’s a Catch 22. I’m very curious to see what the approach will be, especially now that The Force Awakens is finally behind us. Will we get our first glimpse of the film attached one of 2016’s most anticipated titles, such as Batman v Superman or Captain America: Civil War? Or will Disney wait until we get closer to Rogue One’s December release? The hype machine needs to start chugging at some point; the sooner the better in this case. Once we do begin to see teasers and trailers, will Disney mention that the film has absolutely nothing to do with Episode VIII? How can the studio do that without confusing people? Hey guys, we have another Star Wars movie to show you, but it actually isn’t Episode VIII. Oh, and it takes place before the very first Star Wars movie. Whatever Disney decides to do, it will need to act soon. Remember, Episode VIII, a movie with immense expectations, is scheduled for a May 2017 release. Disney will no doubt want to throw millions of marketing dollars behind the next trilogy film, and will likely want a head start as the attention on The Force Awakens dies down; I wouldn’t be surprised if we start seeing Episode VIII references a year in advance. On that note, will Disney’s marketing overlap? Will two previews for two different Star Wars movies play in the same theater? That sounds like a Star Wars fan’s dream come true. But for Disney, balancing its newest property sounds like a logistical nightmare. This isn’t like introducing Ant-Man or Doctor Strange out of the blue, because those characters have years of history behind them. Rogue One, on the other hand, while existing in the familiar Star Wars universe, doesn’t have the crutch of the Skywalker saga. I have no doubt Rogue One will be a worthy Star Wars movie; seeing the Death Star looming dangerously over a planet is enough to send chills down my spine. It just carries with it the dubious distinction of being sandwiched between Episode VII, which we already know is a phenomenal success, and Episode VIII, which Star Wars fans already have their sights on. Where does that leave Rogue One and the new cast of characters we’re going to meet? I can’t wait to find out. I know the film doesn’t come out until December 16, 2016, but I’m very anxious to start learning more about what this spinoff will bring to the table. Maybe the picture at the head of this post is an indication; the crew looks tired, battered, beaten—but hopeful. It’s fitting, especially considering it’s the follow-up act to The Force Awakens.